Our first serious venture beyond the comfortable aisles of our familiar grocery stores was in Baton Rouge when we were recruited to test recipes for Sara’s first cookbook, Asian Vegetables. We were clueless about where to find recipe ingredients like fuzzy melon, long beans, shiso, or fermented black beans. Well, it turned out that the ingredients were right under our noses on the shelves of small food markets serving local ethnic groups. Our search for recipe ingredients was like armchair traveling to fascinating parts of the world. What turned out to be our favorite Asian source, Vinh Phat Oriental Market, was located in a strip mall in north Baton Rouge that we had hardly noticed when driving out Florida Boulevard. 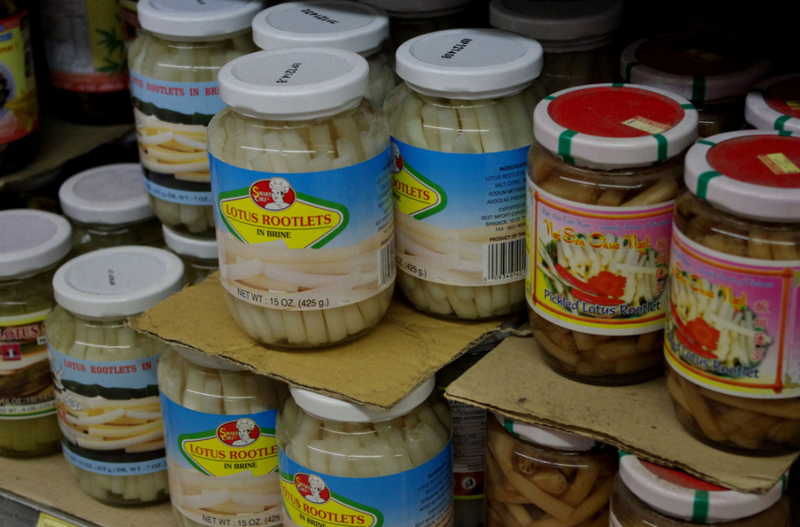 When we first walked in we were intrigued by shelves upon shelves of unintelligible canned and bottled goods and bins overflowing with exotic (to us anyway) vegetables and fruits. We were hooked. We continued our romance with ethnic markets after moving to Glen Ellen. While recipe testing for Sara’s latest cookbook, Tacolicious, (she takes advantage of our free labor for sure!) we became regulars at the walk-up window at Tortilleria Jalisco and the meat counters of Carniceria Chapala. A short jaunt to Santa Rosa takes us to our new favorite Asian Market cleverly named Asian Market. We could go on, but the point is, cooking can be more than just about putting food on the table, it can be about the adventure on the way.